In partnership with Camp Amigo, the Children’s Burn Camp of North Florida, this workshop is facilitated by 3 instructors with decades of scar tissue management experience: Kate Peck LMT, instructor and founder of the Massage and Burn Scar Therapy Foundation; Nancy Keeney-Smith, LMT, MLD, instructor and author; and Catherine Ryan RMT, author and instructor from Canada. This workshop presents an unparalleled learning opportunity – aimed at assisting manual therapy professionals with achieving better patient outcomes. The material and hands-on are delivered in a comprehensive, yet user-friendly manner, infused with humor and loaded with easy to integrate, practical skills and knowledge! Universally, massaging a scar is considered a fundamental scar management best practice. There is growing evidence to support that timely and skillfully applied, Massage Therapy (MT) can augment the healing process, potentially prevent detrimental complications associated with pathophysiological scars (e.g. fibrosis, adhesions and contracture), reduce pain and pruritus, restore function and improve quality of life. This highly practical workshop provides an evidence informed guide for working with patients through the various stages of wound healing, trauma recovery and with long-standing scars. The theoretical material provides an overview of the foundational science of wound healing and scar formation (normal and abnormal) and considerations for working with the target tissues/systems (lymphatic, nervous, skin, musculoskeletal and fascial/connective tissue) during the various stages of wound healing and mature scar formation. The experiential component includes instructor demonstrations, participant exchange and a scar patient clinic. Techniques demonstrated include those intended to address tissue tension, fibrosis, adhesions, contracture, neural sensitivity and lymphatic congestion - demonstrations will be projected onto a screen to enhance the learning experience. MT relevant aspects of trauma informed practice will also be covered. Use knowledge of target tissue/systems foundational science to inform clinical practice. Use knowledge of the process of wound healing/scar formation to inform clinical practice. Use knowledge of; the impact of pathophysiological scars on the patient and, clinical considerations to inform clinical practice. Safely apply scar tissue assessment procedures and use assessment findings to inform clinical practice. Use charting/evaluation tools to document findings, track progress and inform clinical practice. Select and safely apply appropriate scar tissue management techniques. Patient-centered care is the mainspring of the instructor’s clinical practice and so too this workshop. Please note: In order to work with pediatric burn patients, you must pass a Level One background check and fill out a camp volunteer application. The background check must be provided with your camp application. For more information: www.campamigo.com. Adult volunteer patients will also be available for the demonstrations and clinic. Workshop limited to 40 participants. Thank you for your interest in The Bodywork Education Project. We look forward to bringing you a first rate educational experience. 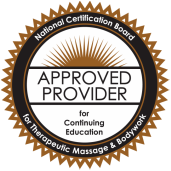 Please feel free to email us at info@thebodyworkeducationproject.com if you have any questions. Site Maintained by AG Consulting, Ltd.